Much like Sabaydee Guesthouse across the road, Oudomphone has been around for years offering simple clean rooms to travellers and it has become a popular backpacker choice. They come with a TV and hot water bathrooms and a smattering of free WiFi – it works in some rooms and not others. The rooms could all use a lick of paint. There’s also a choice of air-con rooms here but you won’t need that in the cooler months. 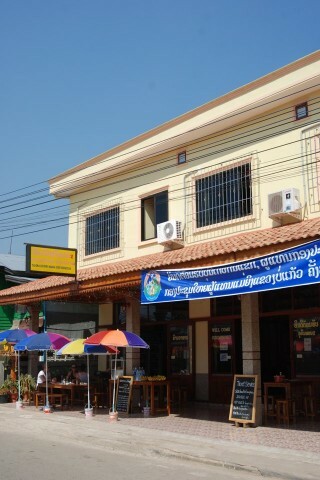 The owners can usually be found sitting out the front in the attached restaurant and shop and are pleasant enough. Good location close to centre of town. As the price reflects, it’s one step below Sabaydee.